Andrés Iniesta lifted his 31st title at Barça on Saturday. The captain scored the fourth of the game, after leaving David Soria for dead in the 50th minute. The number ‘8’ led his team in a fantastic performance that helped lift the 30thCopa del Rey in the Club’s history. 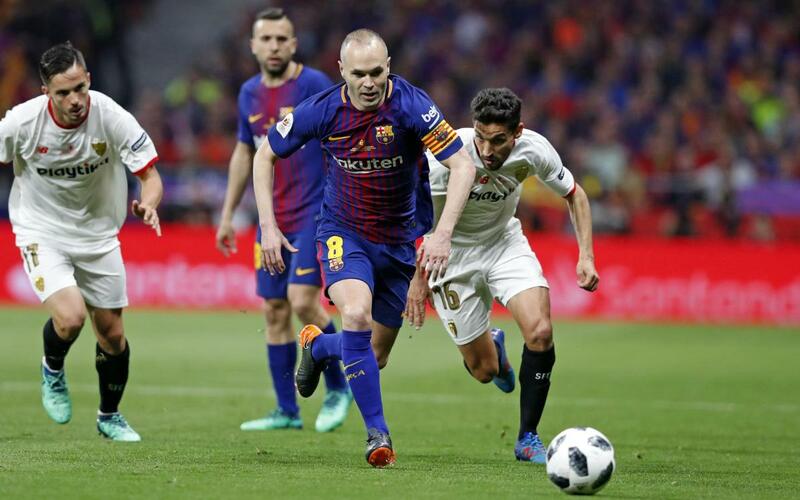 Iniesta, also hit the bar in the first half, and when he was substituted in the 88th minute both sets of fans gave him a standing ovation. The captain said he would announce a decision on his future this week. Don’t miss out this video of the blaugrana’s performance in the 5-0 final win.